Vision is to be India's most respected community developer. Mission - Lotus is a team of highly committed, confident and successful professionals working with dedication towards developing real estate as culture and knowledge centers. We are young, dynamic and vibrant. We like to have fun in our healthy work environment. 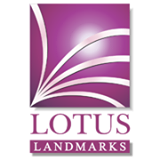 We strictly adhere to our path towards lotus vision through innovations in Designs, Material and Methods. We believe in setting up a work culture that is based on transparency and honesty.